Mozambique is the longest country in Africa, and has a correspondingly wide range of cultures and music. The area below the Zambezi River is generally referred to as 'Southern Mozambique'. Sit back and be amazed by this musical richness represented here by 7 peoples: with xylophones, drums, mbiras, singing horns, reedpipes, vocals – and young girls playing ocarinas as if in a dream. Total time: 67'09". 20 page booklet. Tracklist: 1. Four Chigowilo Tunes, 2. Two Chimveka Tunes, 3. Msitso Wa Wuraru, 4. Hinganyenisa Masingita, 7. Lawanani Michangsika Timbila Tamakono, 8. Mandowa I, 9. Mandowa II, 10. Mandoewa IV, 11. Nahatangena, 12. 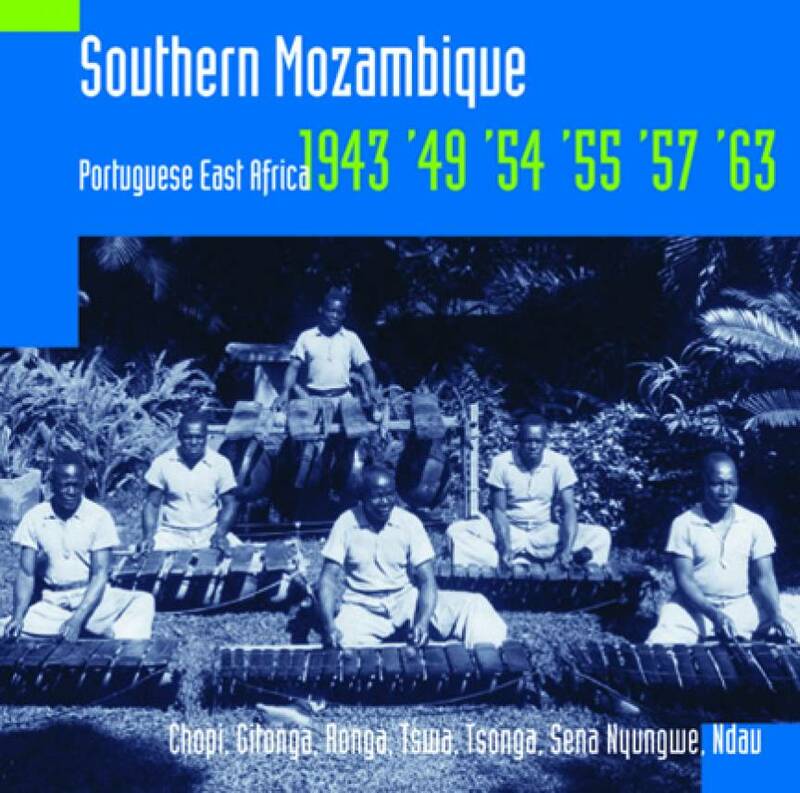 Masesa, 13. Numero Uno We Regulo Rumbane, 14. Maruvata. 15. Custodo A Mabile, 14. Nzifani Ya Joni, 17. Ntendene, 18. Mwalusu, 19. Mutendeni, 20. Maris Wa Ntumbi, 21. Ndarira, 22. Wakwatira Chabe, 23. Ndaramba Murandu Kumui Kwangu, 24. Doka Wandimara Chiperi, 25. Two Chigowilo Tunes. fRoots 2004 (GB): "You can’t help but be excited by the primal quality of the music and drawn in by the documentary aspects."